Finding a true calling in life must have been tough for young Anakin Skywalker. He was really great at podracing, building stuff, piloting anything, and being a Jedi warrior. Yet, he became the most powerful Sith Lord in the galaxy and made entire planets tremble at his labored breath. And hey, we’re not going to judge, but if that sounds like the kind of career path that maybe interests you, then you’re going to have to have the look to go along with it. 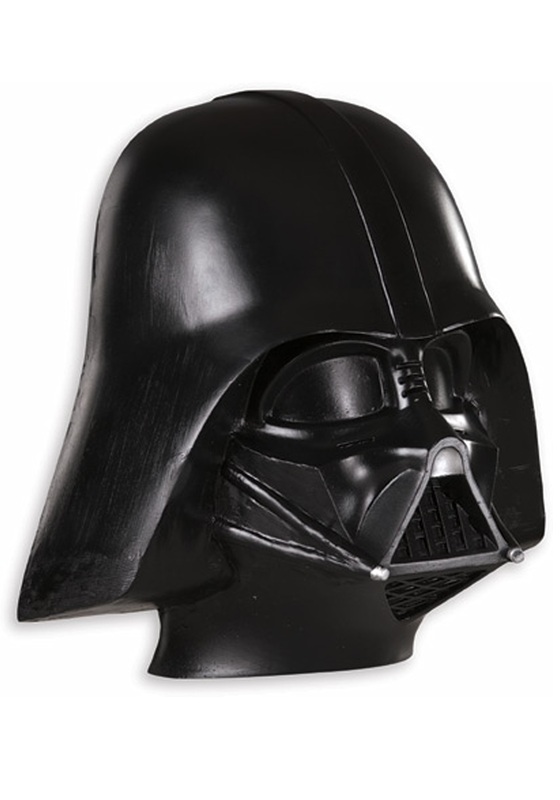 Try throwing on this Darth Vader Face Mask and you might already be a good portion of the way to being a terrifying Sith Lord. And believe us, it is way easier to put on this officially licensed mask than it is to burn most of your body away in the lava rivers of Mustafar. So, enjoy the new Sith training you’ll be taking on, as well as the ability to look fearsome while still being able to turn your head all the way around without any trouble.